How to draw Joker. 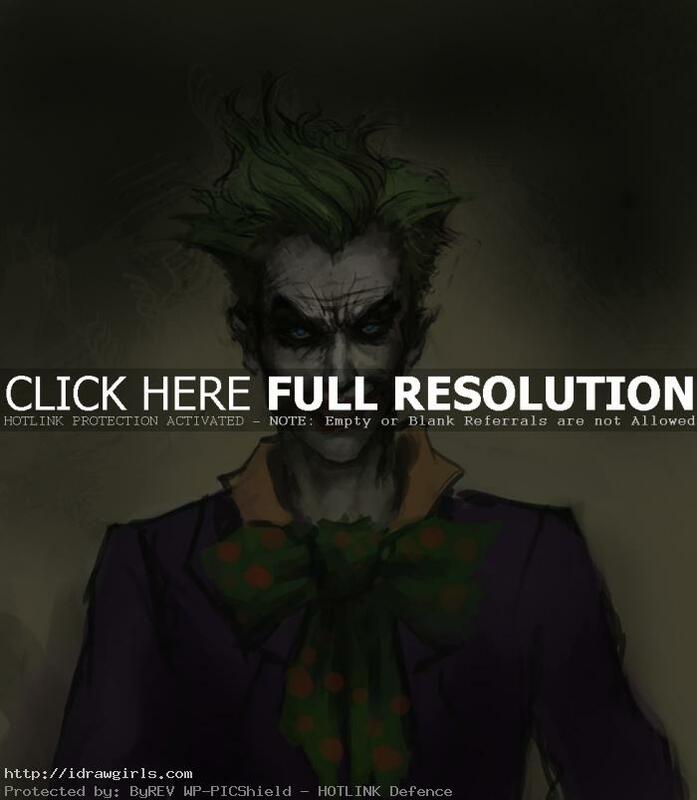 Learn how to draw villain character from Batman, the Joker. 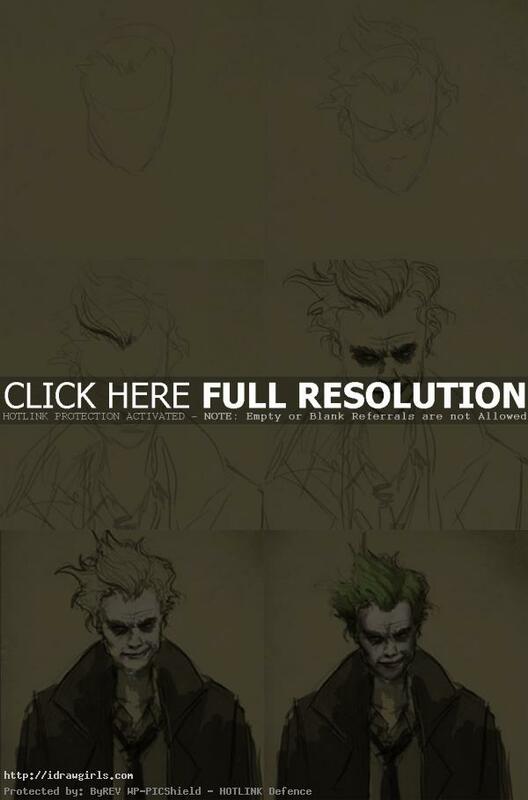 This video tutorial shows you how to draw the Joker from Batman. Now he will also be in Suicide Squad. Learn from basic sketching to finish drawing quick concept for comics. You can also find step by step tutorial by scrolling down further. At first I did this tutorial a long while back since the Dark Knight movie. Then I saw the newest video game trailer Arkham city, I love the look of the cynical Joker so I am doing another tutorial for that within the same post. Anyway, enjoy the tutorial. Batman: Arkham City is a 2011 action-adventure video game developed by Rocksteady Studios. It is the sequel to the 2009 video game Batman: Arkham Asylum, based on the DC Comics superhero Batman. 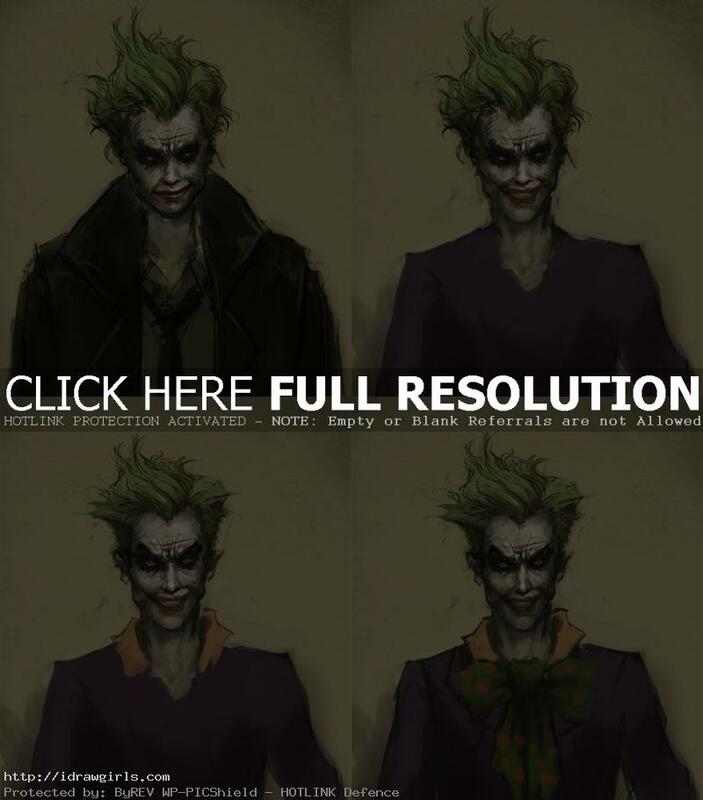 The game was released by Warner Bros.
Below are step by step how to draw Joker. Watch the drawing video lesson for more in depth detail instruction. How to paint Joker step by step. These steps below is the painting process continue from the above video tutorial. Did you watch the video?Don’t focus so much on brushes. If you cannot paint anything with default round and make it look good, then fancy brushes wont’ help. In fact, it is a lot harder to implement because of its property (textures, effect). Practice with default, once you are there, you can effectively use the brushes.